Rev. Rufus Smith, IV is the Senior Pastor of Hope Evangelical Presbyterian Church (EPC) in Memphis, Tennessee, a mega Presbyterian congregation. He joined Hope in September 2010 as Associate Pastor of Discipleship and, in October of 2013, was elected as Senior Pastor to succeed the Founding Pastor of 25 years, Dr. Richard Craig Strickland. Over the past 8 years, Hope EPC has transitioned from a pre-dominantly Caucasian to a multi-ethnic church in the deep south, with 30% of members being people of color. In 2016, he Founded the Memphis Christian Pastor’s Network (MCPN) an ethnically & denominationally diverse clergy-only network that “bridges the trust-gap” between pastors via candid conversation, supplication, and social interaction—outside of church walls. Cultivating greater trust enables this consortium of 67 pastors to strategically collaborate and leverage their influence to close the “economic disparity gap” in our beloved city. Rev. 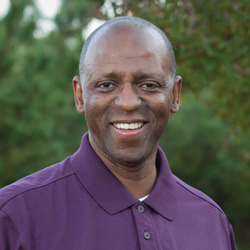 Smith was born in Houston, TX, where for 12 years he was the Senior Pastor of The City of Refuge (COR) Presbyterian Church, an interracial, inter-generational, biblically centered and socially active fellowship. He believes that the authentic and attractive gospel of Jesus Christ consists of three things equally necessary: preaching (the proclamation of a person); teaching (the explanation of principles); and healing (the mitigation of human pain). 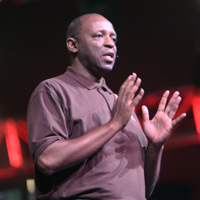 Prior to being “called” to Memphis, he was the Founder and CEO of the Forge for Families (FFF), a community development center designed to empower the under-resourced in the greater 3rd Ward community of Houston. Under his leadership, the FORGE successfully completed a $6,400,000 million dollar capital campaign and built a 40,000 square foot campus, debt free! In addition, he was a Founding Board Member of Yellowstone Academy & for three years the Lead Chaplain for the NBA Houston Rockets. He attended Houston Baptist University majoring in Theology and Psychology. Crazy about baseball, reading and walking, but his claim to fame is his wife Jacqueline of 34years and their three children who all work in Memphis with under-resourced children: Ruth Abigail, 31(Furman U. in SC; BA); Rufus V, 30 (Howard University in DC); and Rhoda Anna, 27 (Agnes Scott College, Decatur GA; BA/MA).